The sequences for these stars have been specially selected for use with binoculars and all the "Binocular Charts" will display only those comparison stars selected for the sequence for that star. You may still need to plot your own finder charts or use a star atlas to locate these stars in the sky at first, but once you learn them you will only need the comparison star charts. Near the bottom of the VSP form there is a question which asks you if you would like to plot a Special Chart. Clicking "Binocular" will enable only binocular sequence comparison stars to be labeled on any chart you plot while this is activated. You will know when you are in this mode because all the binocular charts are plainly marked in the upper right hand corner. BE SURE TO TURN IT OFF TO PLOT REGULAR TELESCOPIC CHARTS WHEN YOU ARE DONE. Binocular sequences only go as faint as 9.5V. Stars whose minima take them below 9.5V should be observed using regular telescopic charts when they are that faint. There is a complete list attached to this page in .csv and Excel format. The spreadsheet contains the star name, constellation, coordinates, type, period, range, suggested FOV and limiting magnitude for charts and notes. Entering the suggested FOV in arcminutes and the limiting magnitude we have specified into VSP will generally give the best results. You are, of course, free to plot charts with your own parameters. 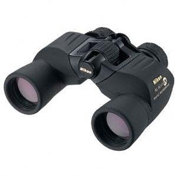 There are many more variable stars in the range of binoculars not included in the AAVSO Binocular Program. At this time, there are no plans to expand the program to include more stars. We suggest you concentrate your efforts on these stars first. * Note: Keep in mind that VSX is constantly updated so the information retrieved from the VSX list will be more accurate. The list here and in the attached spreadsheets should be taken with care.